It is well known that Albanians mistreat the Hellenic minority and the Greek villages in modern day Albania. Young Greeks encounter Albanian extremists, who kill them for speaking Greek, for being and acting like Greeks. Greek properties are being destroyed because miraculously all Greek properties need to be expropriated. Greek monuments are being attacked and damaged. 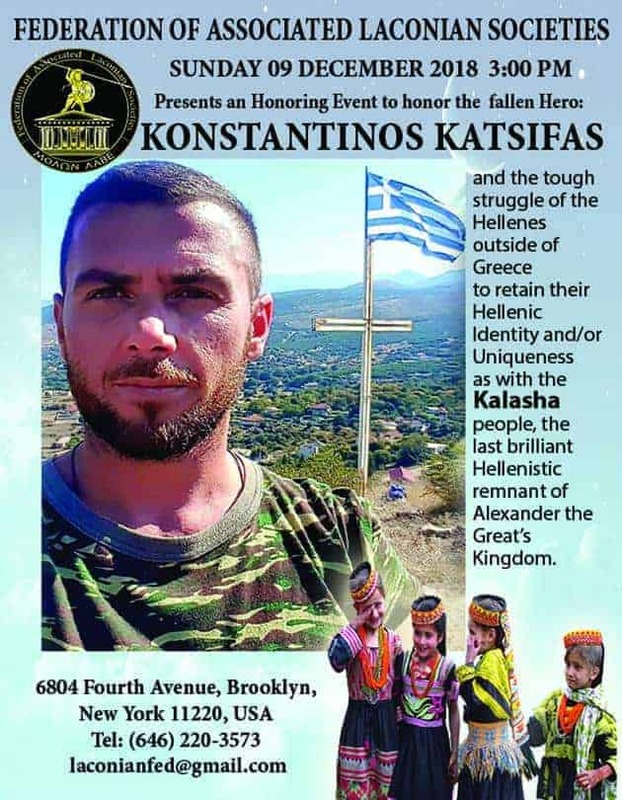 Albanians also challenge the Greek-Americans, in particular the Laconian (Spartans) by publishing anti-Greek propaganda, and planing to harass the Honoring Event for the Greek Hero Konstantinos Katsifas. 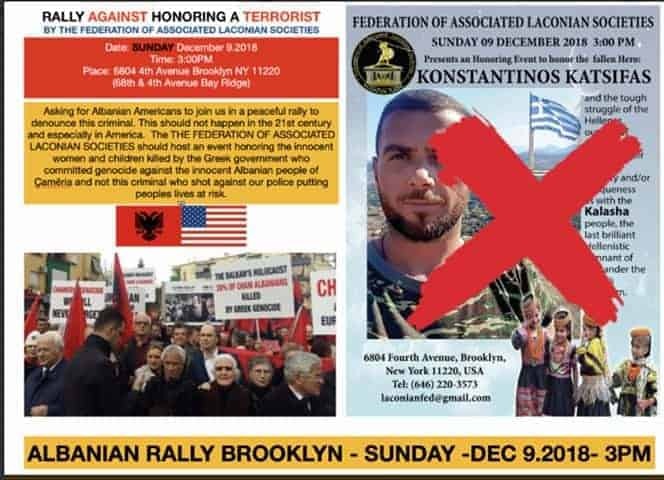 Way before the death of the young hero, the Federation of Associated Laconian Societies has published a resolution on their official website expressing their concern about the mistreated Hellenes of modern day Albania. The Greek Spartans Laconians, refuse such behaviors against their Greek compatriots, and the least they could do was to honor a Greek Hero named Konstantinos Katsifas. Hundernds of Greeks have travelled to attend the funeral in the village of the young Hero. Albanian propagandists say that the young Hero was an insane terrorist. This is a ridiculous accusation towards the indigenous Greek hero.